THINGS THAT YOU NEED TO KNOW ABOUT VIVEGAM! The first look poster of Thala 57, Vivegam, was revealed yesterday (2nd February), and here we have some interesting insights about the same. The film has Ajith and Kajal Aggarwal playing the lead roles, while Vivek Oberoi and Akshara Haasan play roles that are of vital importance. While looking at the font style of Vivegam in the poster, it does indicate that numbers or time will be playing a crucial role in the film, like, for example, Ajith might have to achieve a mission within the stipulated time. The initial letters resemble numbers like 9,5,0, and so on. And another interesting information that we saw was about the film's story writer. We were believing that Siva has written the story of AK57 all by himself, but the poster has revealed that it is not just, but also another writer has collaborated with him. 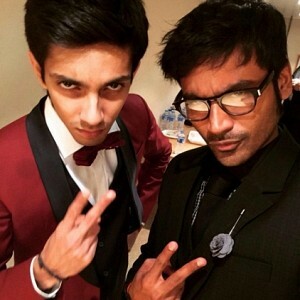 The film is co-written by Adi Narayana, while Kabilan Vairamuthu has worked with Siva on the film's screenplay. 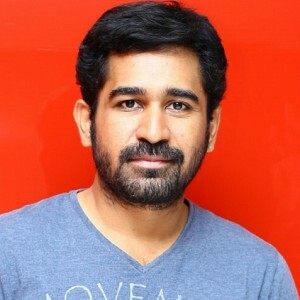 Breaking: Vijay Antony's next title is here! Actor Sivakumar's Issues A Statement To All The Protesters!